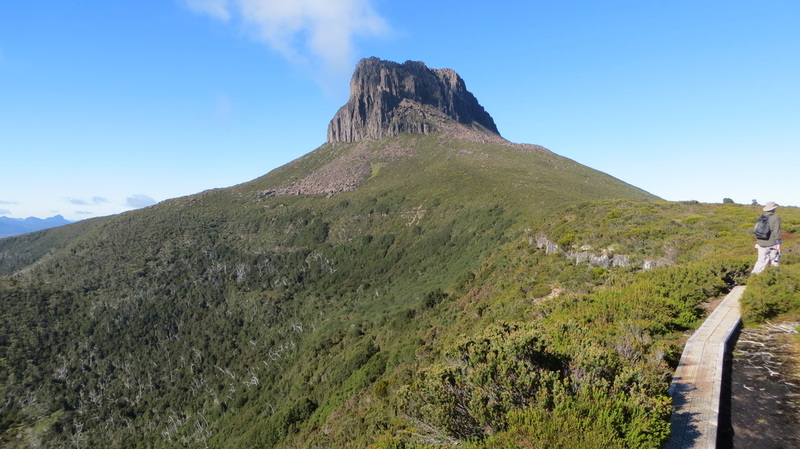 The Overland Track is considered one of the greatest walks in the world because of the pristine environment it covers, the alpine plateaus, the crystal clear waters in lakes and waterfalls and the majestic, breath taking scenery over the 65km (or 82km for the full length) of the walk. With the side trips I completed, I would have walked about 120km over the time I was on the Track. Whilst not overly arduous, it still is a walk for someone with a very good level of fitness and ability to be self sufficient for the minimum 5 days it will take to traverse. Sure, you can do it faster than that if you want, but you won't be able to appreciate this area like it truly deserves to be admired. 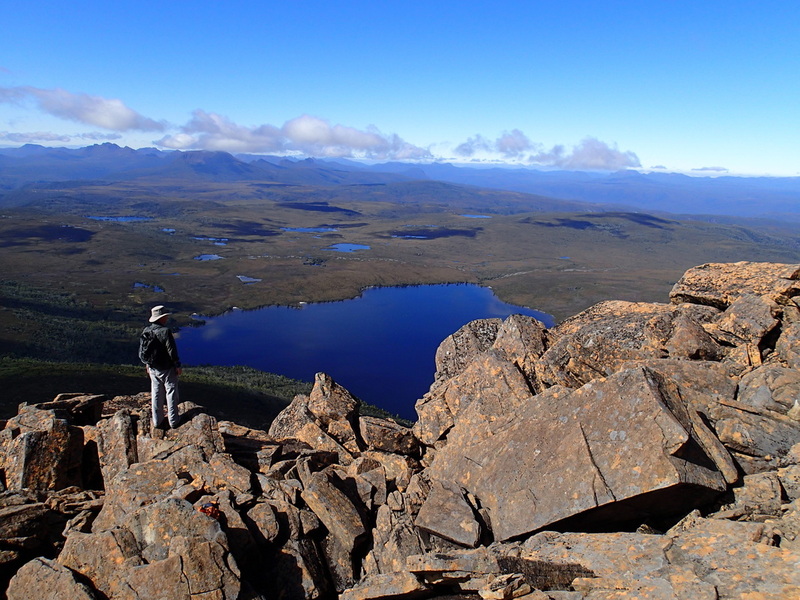 The Track winds its way through Cradle Mountain to Lake St Clair National Park, and passes some of the highest peaks in Tasmania, with the opportunity to take many side trips off the Track, to see more of this region. With ever changing weather, you may experience 4 seasons in 1 day, including some people who have experienced snowfalls in summer. This weather highlights the importance of the walker being prepared for the journey - this is not a last-minute sort of walk but one of thorough preparation and research and with excellent equipment and gear (especially worn-in hiking boots). Without this pre-planning, the trip could be a miserable and perilous one. See at the bottom of this page for some key resources that helped me - and could help you too. 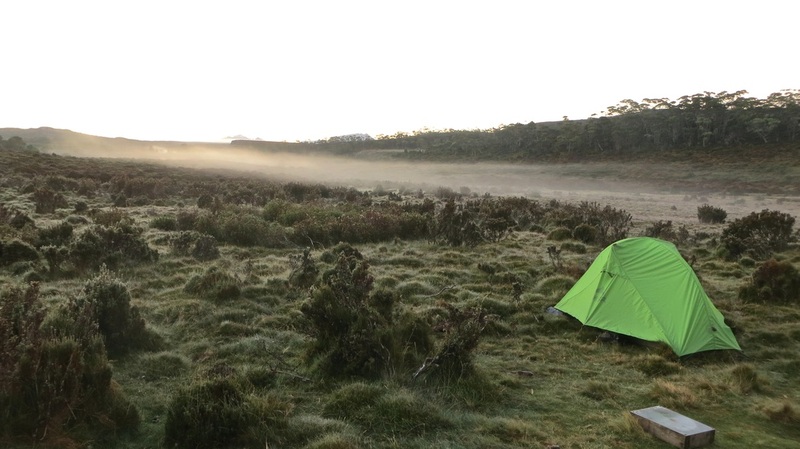 Recently, having completed this walk, taking 9 days to ensure plenty of side trips were accomplished (plus to really enjoy and appreciate the surroundings) I have put together information on the designated end of day camping spots on the Track. On the links below (or via above navigation toolbar) you can read more about what to expect at each site in terms of camping and the huts that are provided for walkers. Make sure you check this site out to assist you in finding out the all the information about walking this Track. They have an e-book which will prove to be invaluable to you! Download the e-book and study it! It covers all aspects of the hike - from the very beginning (including how you even get to the start of the Track) right through to the end. Highly recommended.